Students from across the state were rewarded with a weeklong tour of Washington, D.C., for writing winning short stories titled “Electric Cooperatives: Powering Your Communities” describing how locally owned, member-controlled electric cooperatives provide valuable community-building support in addition to reliable and affordable electric service. 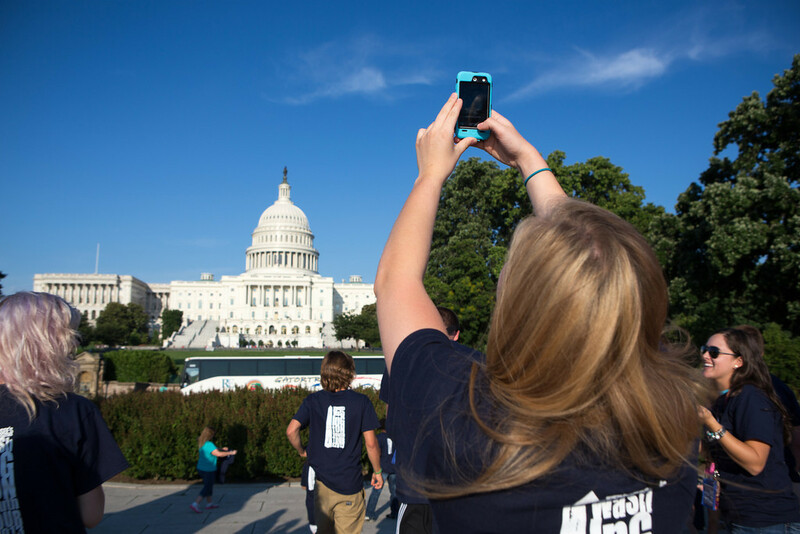 The Washington Youth Tour is a joint effort of Tennessee’s local electric cooperatives, the Tennessee Electric Cooperative Association and National Rural Electric Cooperative Association. Each school year, cooperatives sponsor a short story contest for high school juniors. Winners are awarded spots on the expense-paid trip to our nation’s capital the following June as part of the Washington Youth Tour. This year’s tour ran June 13-20 and included meeting with elected officials, visits to Washington’s popular tourist stops and time to visit with winners representing other co-ops across the state. Students on the tour visited the White House and memorials to past presidents Thomas Jefferson, Abraham Lincoln and Franklin Delano Roosevelt as well as monuments honoring the sacrifices of veterans of World War II and the Vietnam and Korean conflicts. Strolls through the varied museums of the Smithsonian Institution afforded the students opportunities to learn more about science, history and art. Other fun stops included homes of former presidents — George Washington’s Mount Vernon and Jefferson’s Monticello — a performance of “Shear Madness” at the Kennedy Center for the Performing Arts, a boat cruise down the Potomac River and tours of the National Museum of Crime and Punishment, Ford’s Theatre and the Martin Luther King Jr. Memorial. The Youth Tour also included a solemn and sobering visit to Arlington National Cemetery, where the group laid a wreath at the Tomb of the Unknowns. And the Tennessee group marveled at the precision and skill of the U.S. Marine Drum and Bugle Corps and Marine Corps Silent Drill Platoon at the Sunset Parade, performed in front of the U.S. Marine Corps War Memorial’s iconic statue re-creating the flag-raising over Iwo Jima during World War II. No trip to Washington, D.C., would be complete without a lesson or two in government and civics. The group was welcomed to the U.S. Capitol by Reps. Marsha Blackburn and Stephen Fincher, and their staff members treated students to a special after-hours, VIP tour. Students also met Sens. Lamar Alexander and Bob Corker as well as former Tennessee Gov. Phil Bredesen. Several representatives also spent some time with their constituents outside the Capitol and posed for photos.